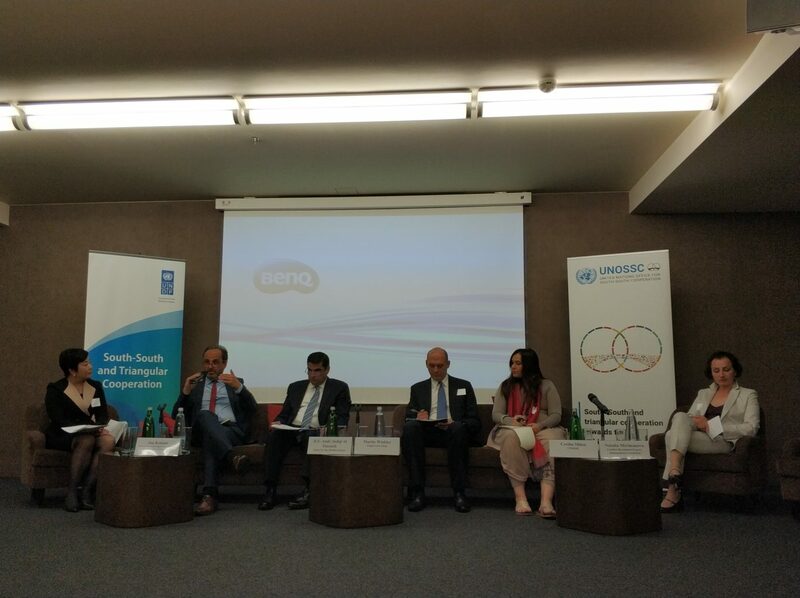 On May 16th 2018, jointly organized by Yingke, the United Nations Development Program, and the United Nations Office for South-South Cooperation, the “South-South Cooperation for Sustainable Development Summit” was successfully held in Prague. 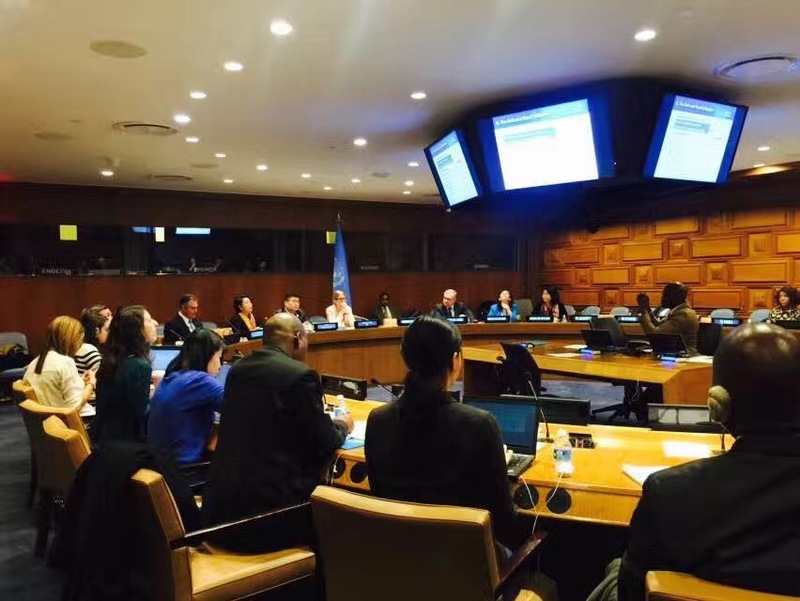 After the UNPD and Yingke Law firm signed the agreement at the UN Headquarters in New York on November 21st, 2016, this is the second large-scale summit that jointly organized by the United Nations and Yingke Law Firm. The Conference is titled “Investing in the Sustainable Development Goals through South-South and Triangular Cooperation: Promoting Conducive Policy and Legal Environments in Europe and the Commonwealth of Independent States”. 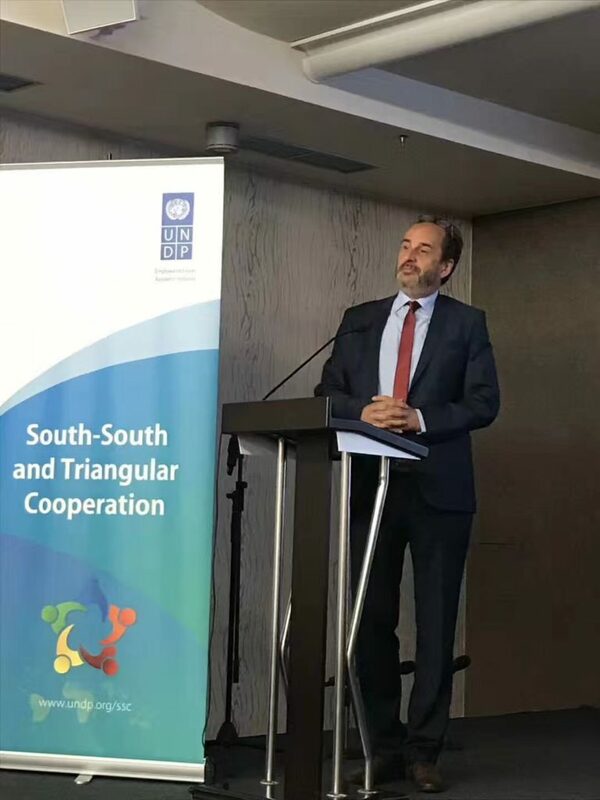 The summit focused on South-South Cooperation and sustainable development and discussed the opportunities, challenges, legal environment, solutions and experiences in the South-South Cooperation. Ms. Margaret Thomas, Deputy Ambassador of Hungary to the Czech Republic, President Consultant of the Czech Republic, Deputy Minister of Foreign Affairs of the Czech Republic and Director of Development Impact Group of the UNDP, Ms. Xiaojun Wang, Deputy Director of the UNOSSC, Ms. Xiheng, Deputy Director of China Center for International Knowledge on Development and Representative of Silk Road International Think Tank, Deputy Minister of Economics of Kazakhstan and several other senior officials, professionals and entrepreneurs from European, Central Asian and African countries attended the Summit. As the hosts of the Summit, Mr. Xiangrong Mei, Founding Partner, Global Partner, Director and Chairman of Global Board of Directors of Yingke Law Firm, Ms. Lin Yang, Executive Chairwoman of Yingke Global Board of Directors and Global Partner, and the Yingke Global Partners from partner law firms in the Czech Republic, Slovakia and Poland of “Yingke Global Legal Alliance” were invited to attend the Summit and speak as guests. 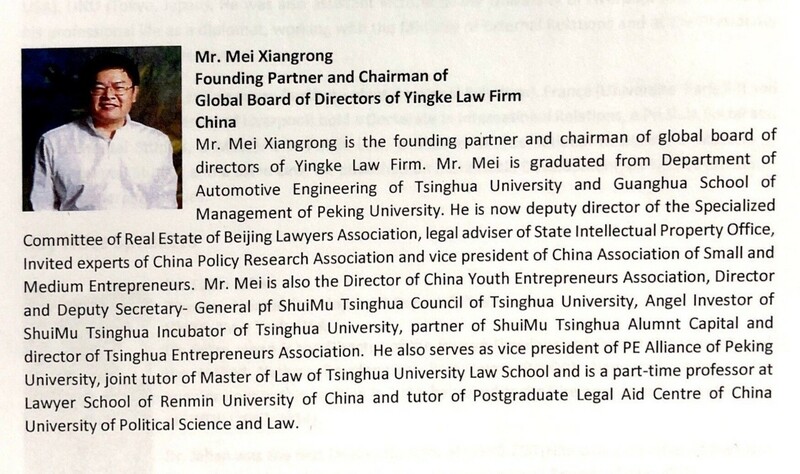 In addition, the Yingke China Delegation, formed by Ms. Huizhen Hao, Founding Partner, Chief of Honor and of Party Secretary of Yingke Law Firm, Mr. Xingren Zhao, Ms. Shuchun Zheng, Ms. Hua Li, Founding Partners and Deputy Directors, Mr. Zheng Li, Executive Director of Yingke China, Mr. Jingwu Li, Deputy Executive Director of Yingke China, and the Executive Directors and Directors of Management Board of Yingke China, attended the Summit as well. During the Summit, Ms. Lin Yang, the Executive Chairwoman of Yingke Global Board of Directors and Global Partner first participated in the sharing of South-South investment incentives and challenges and then in the discussion of South-South investment risk management as the host. The President Consultant of the Czech Republic expressed his opinion during the discussion hosted by Ms. Lin Yang: strengthen communication and avoid misunderstanding. 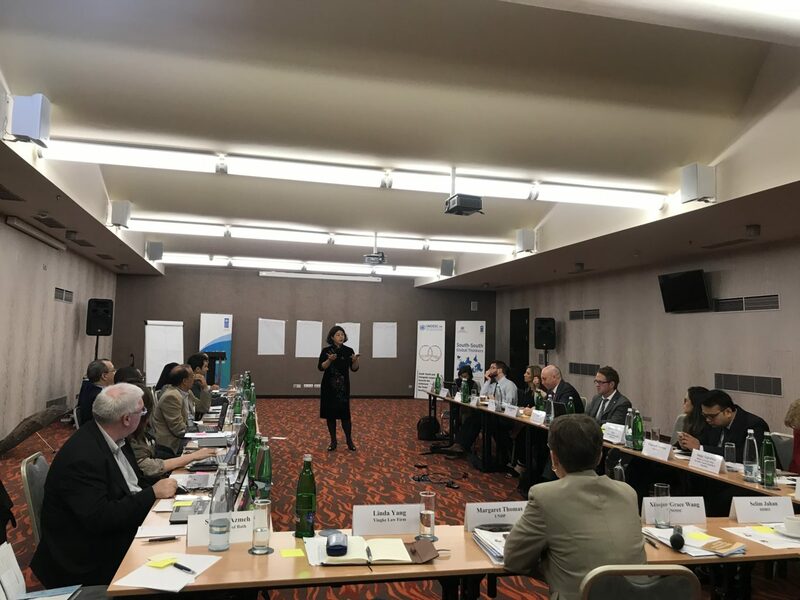 Ms. Lin Yang, the Executive Chairwoman of Yingke Global Board of Directors and Global Partner was invited to host the group discussion titled “South-South Investment Policies and Legal Environment Risk Management”. On May 17th, Ms. Lin Yang the Executive Chairwoman of Yingke Global Board of Directors, also participated in the “brainstorming” activity. 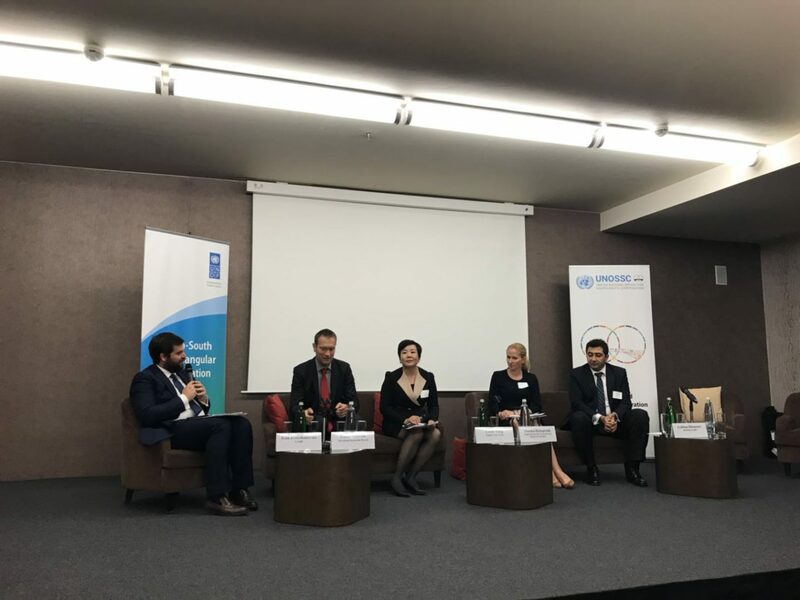 During the activity, the Think Tank representatives shared their opinions and advice with regards to “comparative advantages opportunities”, “knowledge sharing good practices”, “strengthening institutions”, and “scaling-up means of implementation”. The event went successfully. 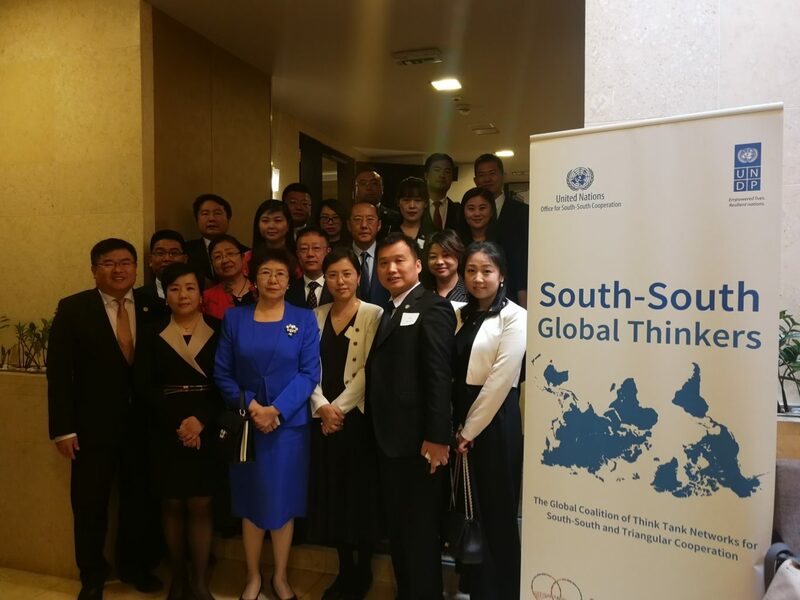 After Yingke has become the founding member of the United Nations Global Coalition of Think Tank Networks for South-South Cooperation, it has jointly organized several conferences with the UNOSSC. Yingke is striving to make its contribution to the UN South-South Cooperation for Sustainable Development. 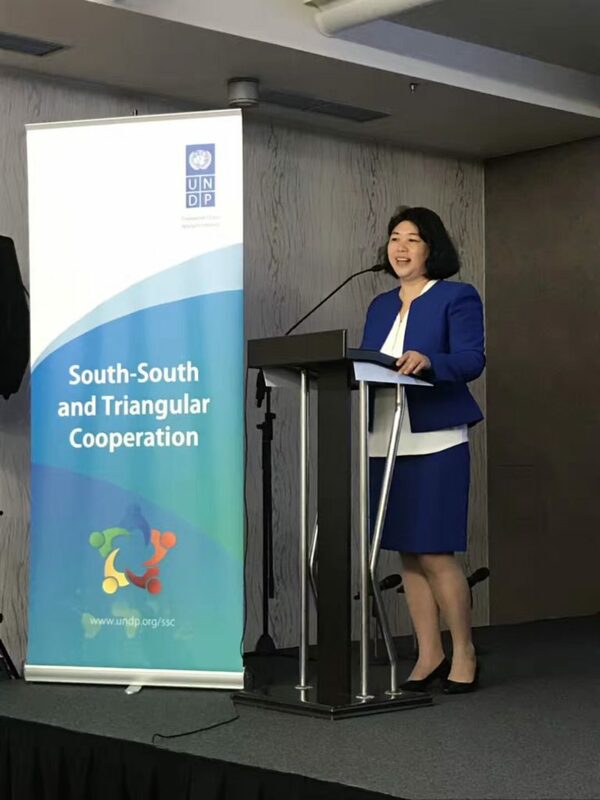 On November 21st, 2016, Yingke and the UNDP signed a cooperation agreement on the South-South Cooperation Summit held at the UN headquarters in New York in order to strengthen the South-South Cooperation. 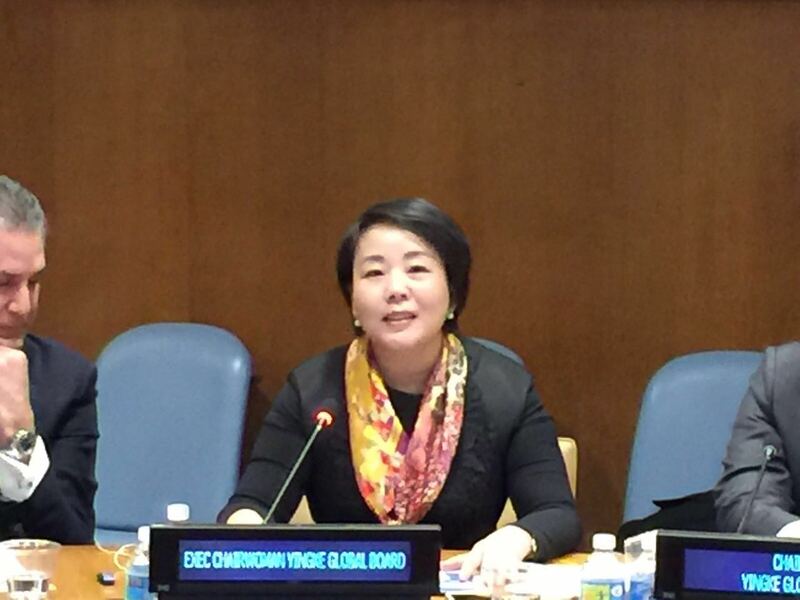 Yingke officially became one of the five UN South-South Cooperation Think Tank founding organizations. 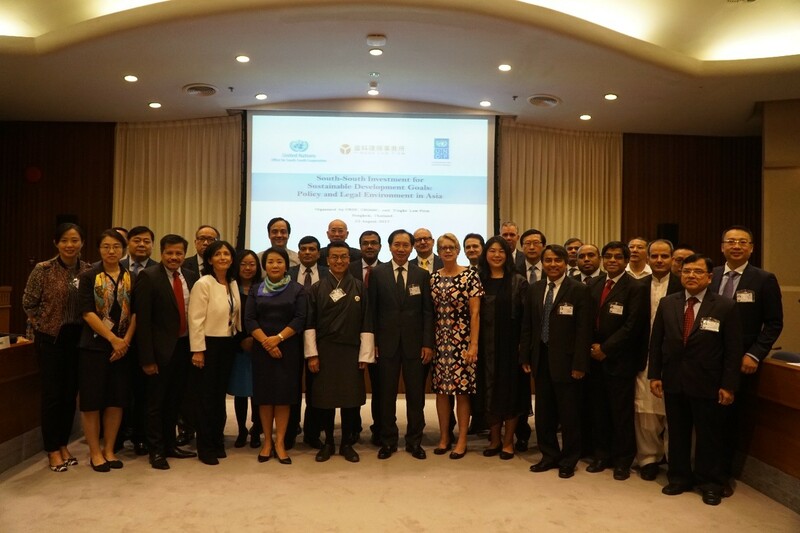 On August 23rd, 2017, Yingke, the UNDP, and the UNOSSC jointly organized the large-scale summit “South-South Investment for Sustainable Development Goals: Policy and Legal Environment in Asia”. The summit went successfully at the Economic and Social Commission for Asia and the Pacific conference center. The summit gathered over a hundred of guest scholars in politics and business from all over the world. 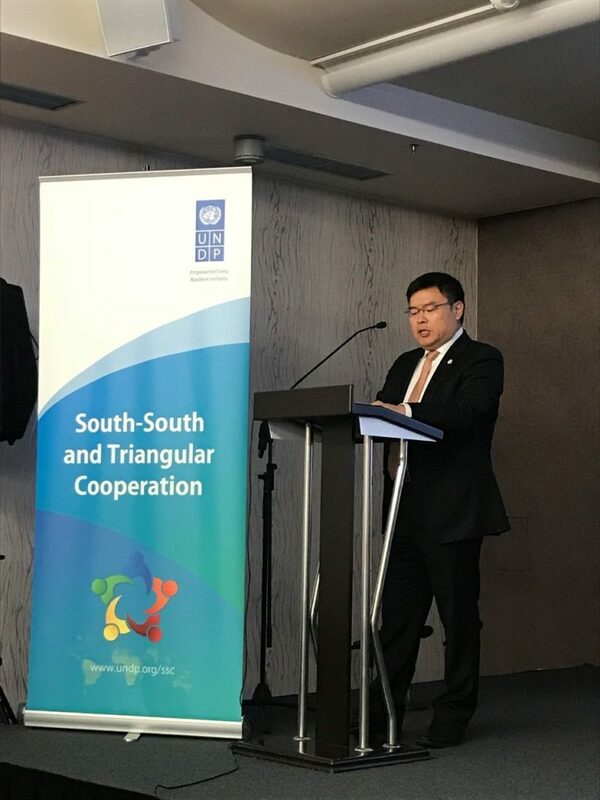 The opening ceremony was hosted by Mr. Denis Nkala, the UNOSSC Regional Coordinator for Asia and the Pacific, Ms. Valerie Cliff, the UNDP Deputy Regional Director for Asia and the Pacific, Mr. Kiatchai Sophastienphong, the Deputy Minister of Finance of Thailand, and Ms. Xiaojun Wang, the Deputy Director of the UNOSSC. Ms. Lin Yang, the Executive Chairwoman of Yingke Global Board of Director, gave a wonderful speech at the opening ceremony. In addition, the former Deputy Prime Minister of Thailand spoke at the opening ceremony as a special guest. The guests who spoke at the opening ceremony and the guests who participated in group discussion taking a photo at the conference center. 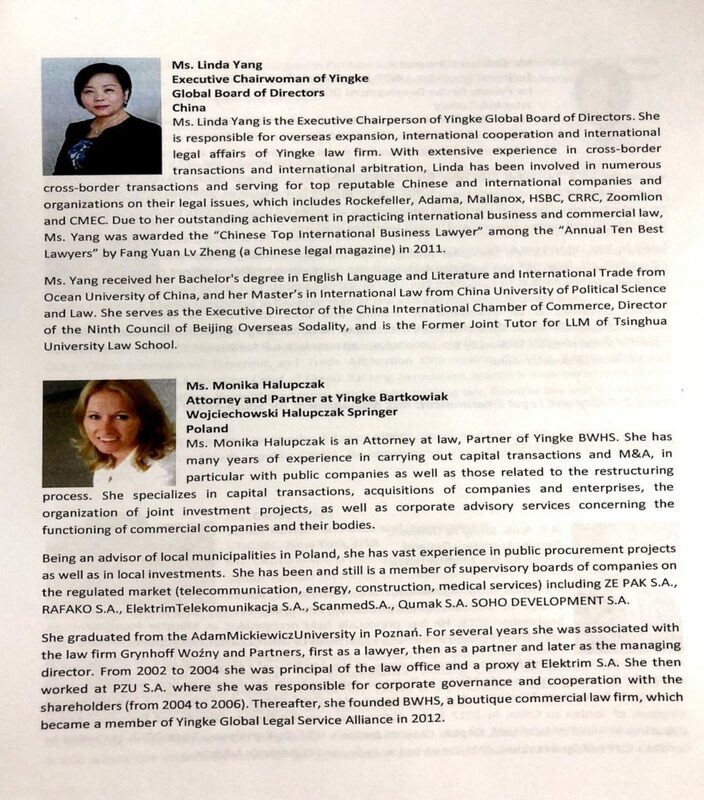 During the “South-South Cooperation for Sustainable Development Summit”, Yingke Delegation visited Yingke Czech Partner Law Firm. 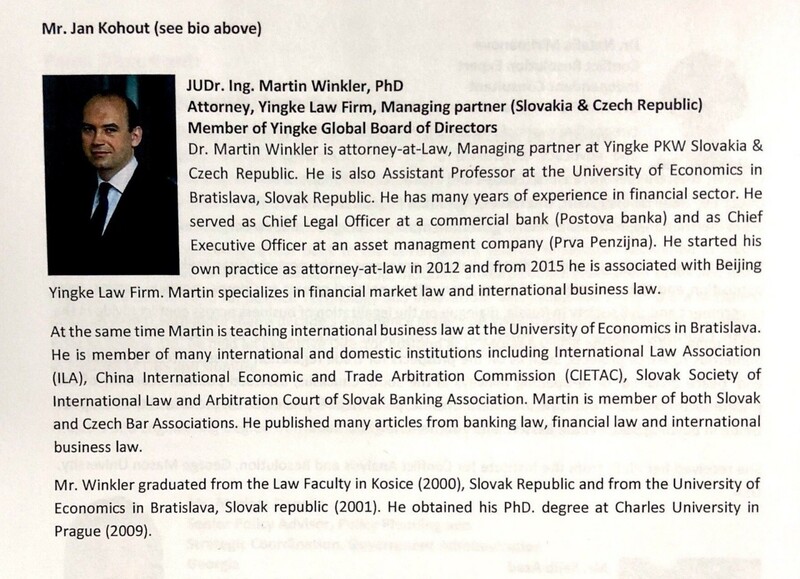 Yingke PKW, or Yingke PKW Slovakia & Czech Republic, is formed by the consolidation of Ľudovit Pavela Law Firm, located at Prague, the Czech Republic, and Martin Winkler Law Firm, located at Bratislava, Slovakia. 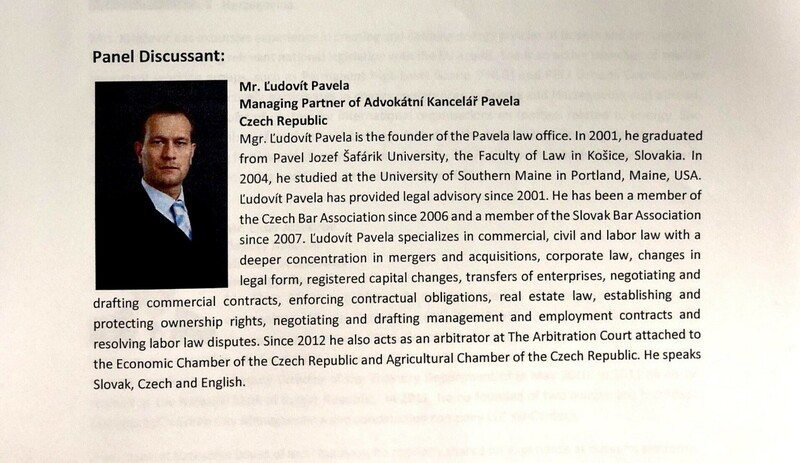 It has a team of 26 lawyers and is able to provide high-quality service pertaining to all fields of law in Czech and Slovakia and relevant professional consulting (e.g. accounting, taxation consulting, business and consulting, and audit service). Yingke PKW offers services in Slovakian, Czech, English, Chinese, German, and French. Many of its lawyers have worked in international law firms, such as Weinhold Legal, Clifford Chance, White & Case, as well as top-level law firms in Czech and Slovakia and obtained rich experience. They established the bridge for oversea clients, especially Chinese clients, to invest in Czech and Slovakia.